Where do I even begin. I’m in Vegas, which should explain a lot right there. Time seems to have no meaning here – hell, I’m staying at the Venetian, which has a sky painted on the inside of it’s roof and is bathed in constant twilight. It’s enough to send any body clock mental. I’ll begin by mentioning the plane ride here. Flying from Toronto to Vegas have me a birds eye view of some of the most amazing country the US has to offer. From Lake Ontario in the North, the immense farmland of Kansas, the snow capped Rocky Mountains in Colorado, and the Grand Canyon and Hoover Dam as we dropped into Vegas. It was pretty epic to say the least. I needed a beer fast! So I headed downstairs to The Public House to seek salvation, and beer salvation is what I found! The bartenders here really know their beer, and when it turned out the beer I ordered from their iPad (yep, iPad beer menus) had run dry, I left my beer fate in their capable hands. First suggestion was the Ballast Point Sculpin IPA. Bingo! This beer was pretty much perfect. I’d seen it posted on Instagram many times before, and all reviews were positive. The fresh tropical fruits were amazing. Next up was the Green Flash Palate Wrecker DIPA. I’d tried this from a bottle back home, and it was great then, but fresh off the tap…orgasmic. 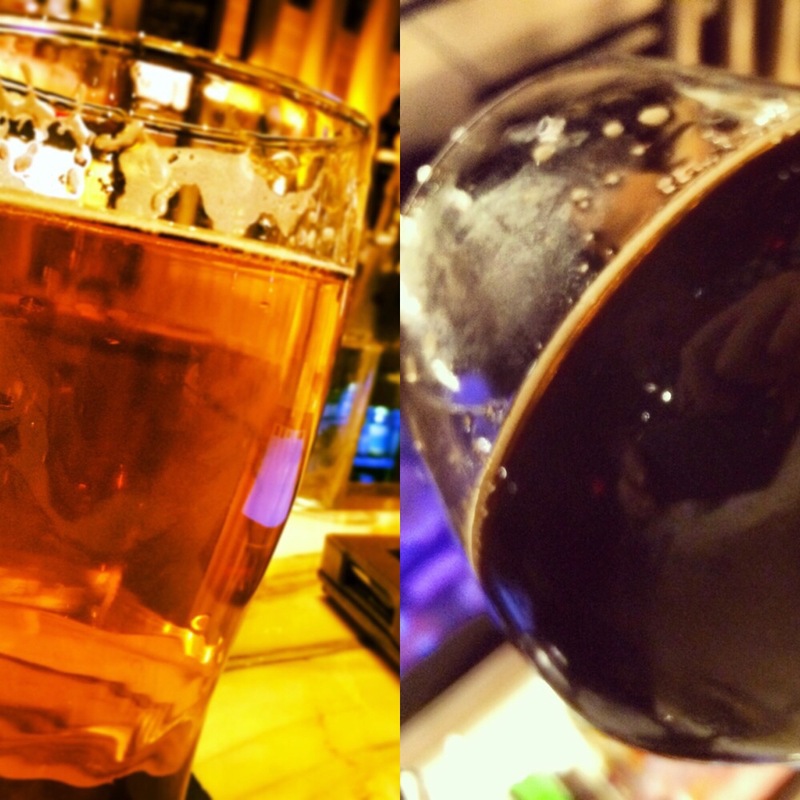 ← Beer Diary: Day 8 – Last day in Toronto. aka DRINK THOSE BEERS!